Have you been one of the many to see the new, highly advertised partnership between Nintendo and Anker! I first noticed the very good looking and innovative things the two companies were putting out together when they announced the major giveaway they were hosting. 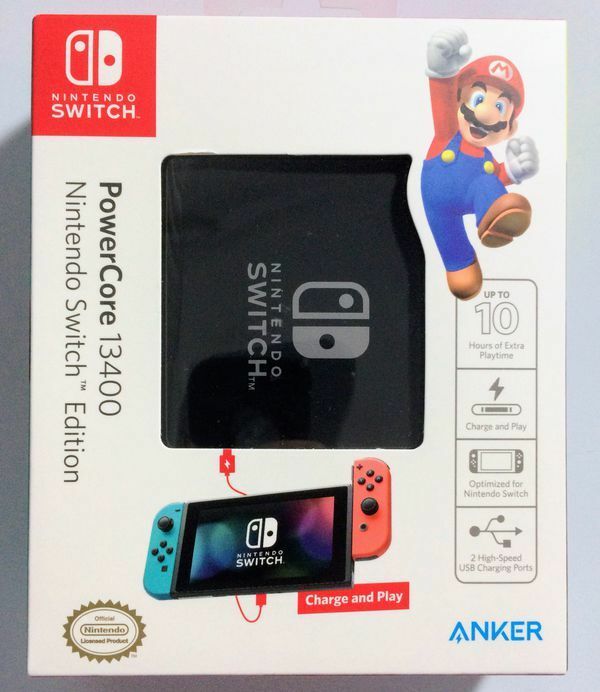 I was one of the few who won the giveaway for the 13,400mah Nintendo/Anker Portable charger. When i first received the portable charger it came in an exciting "Mario" and "Nintendo switch" themed box. Upon opening the box you are given a high quality suede carrying cover case with and platinum colored Anker logo on it. Then you see the portable charger, it felt like no other charger i had ever seen before, the portable was far slimmer than i expected and felt very luxury. I have never come in contact with a charger that had quite felt like this. The portable charger was finished with a matte grey/black color that had fantastic texture, each port was colored bright blue to match the Nintendo theme and also had the full "Nintendo Switch logo" displayed in matte white letters on the back. Anker includes an Anker double sided USB-C cable in order for users to be able to charge their Nintendo switch with the charger. !!!!!!!! !Its important to note that this Nintendo switch branded charger is the only charger officially licensed and certified to be able to charge the Nintendo switch, all others are 3rd party and are not officially safe to use on a Nintendo switch!!!!!! What really impresses me about the charger is that it can effectively charge a Nintendo while being used. Anker states it takes about 3.5 hours to charge but it commonly takes 2.5-3 for me which is very good for a power bank of such high power even after heavy use. Many Anker fans will enjoy the new design Anker has just started implementing in there portable chargers, its the circle design with 9 mini LED lights that light up in order all the way around the circle to indicate the amount of charge left on the power bank. 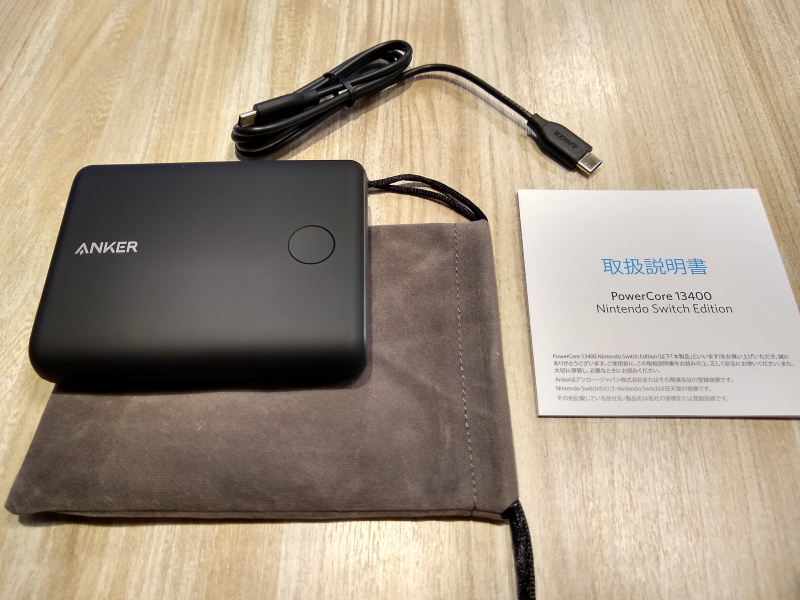 Just like many other Anker power banks they are infamous for speed of charging mobile devices, this charger along with the countless other inclusive specs has the PowerIQ technology in it in order to charge your devices at the highest speeds available. In retrospect this is the most practical, luxury feeling, and effective charger out there. I would recommend adding spaces in between different “sections” of your review. It makes it look a lot cleaner . Please give us a certain structure. And if possible some photos. You can do this now (afterward) by correcting of course! Ill fix it right away thank you! I see pics! 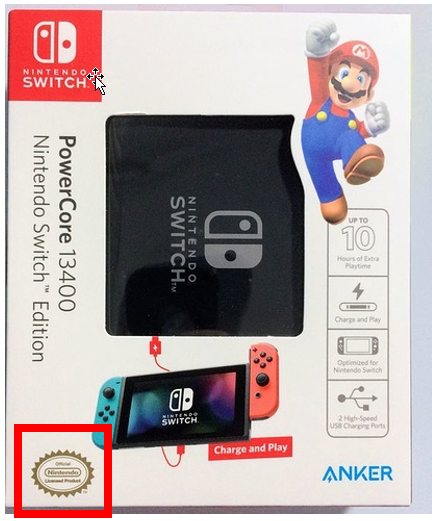 This is interesting that it is the official licensed & certified charger for the Switch! I just might have to get a switch then this charger. This is the first time users have said that using our charging treasure has a sense of luxury. its not a lie, it truly feels amazing! Glad you enjoy this charger, I have one that I won when they came out and also love it. Although I don't have a switch, I do use this to fast charge my phone while on the go. yes, i do the same thing! This is a great review. Good job and keep this up for other products as well! Great review, I do agree it will be nice to see more pictures, also if you don’t mind sharing how much it was. !!!!!!!! !Its important to note that this Nintendo switch branded charger is the only charger officially licensed and certified to be able to charge the Nintendo switch, all others are 3rd party and are not officially safe to use on a Nintendo switch!!!!!! Not officially licensed, but @queuebitt did a great review on what is safe and what is not when it comes to switch charging. I think it should be required reading for all switch owners! LOL! I would 100% agree with that statement though. Especially when things come in a fancy sleeve or a posh magnetic case like my PowerLine micro USB cable that came with my Life 2 headphones came in. Great review, @Dylan_Smith3! I have this one as well and love it! I keep it in my big Switch case, so I always have it when traveling. It's come in handy many times. Especially on road trips. How can they use the Nintendo logo and the Mario image if its not officially licensed?